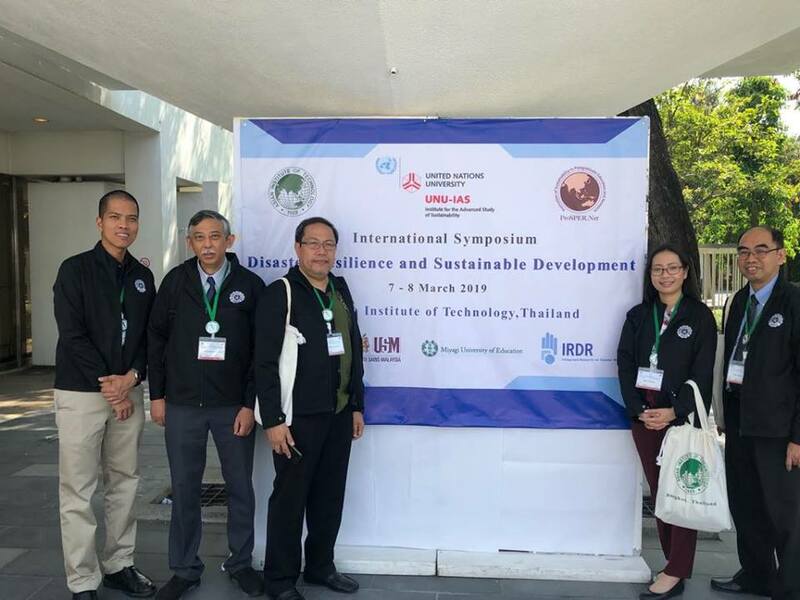 CE Faculty members, Dr. Andres Oreta, Dr. Renan Tanhueco and Dr. Marla Redillas attended and presented papers the International Symposium on Disaster Resilience & Sustainable Development (DRSD2019) hed on March 7-8, 2019 at the Asian Institute of Technology, Thailand. Read related article at CESDR DRU blog. Dr. Tanhueco presented a paper on "Developing teaching and learning modules for a disaster readiness and risk reduction subject. 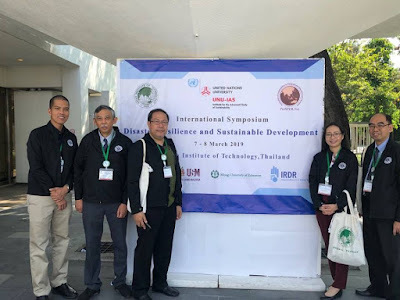 Ths paper is co-authored by a team of DLSU faculty who developed the DR&RR modules for the senior high school students. 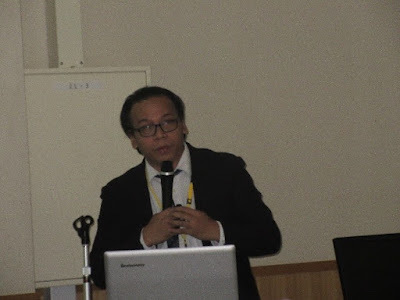 Dr. Oreta presented the paper on "Identifying research interventions on resilience building using the ten essentials for “making cities resilient” global campaign." This paper is co-authored by members of the URCO RPW on Building Resilient Cities & Communities. 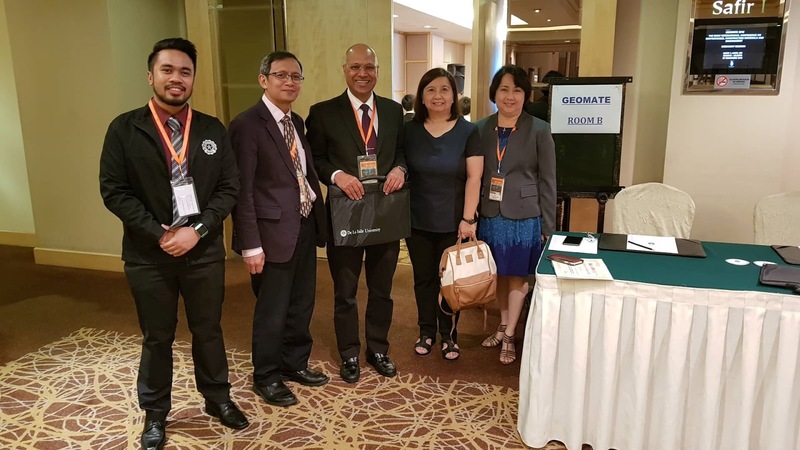 Dr. Redillas presented her paper co-authored with students on "Investigation on the potential of LID in urban land uses in the Philippines." 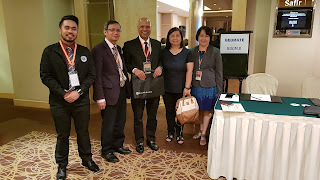 The CE Faculty represented the DLSU CESDR Disaster Resilience Unit and joining them as presentors were Dr. Mutuc (IE Dept) and Dr. Lawrence Materum (ECE Dept). After the symposium, the team had a lab tour of the Wind Tunnel of AIT and Thamassat University. The research staff of AIT Consulting facilitated the tour. On February 23, 2019, Students taking up BS CIV-CTM and BS CIV-STE went on a field trip entitled “Megawide Expeditions: A Site Visit to Megawide Precast Plant”. The field trip was quite a fun and informative experience for us undergraduate students as it was a first time experience for most of us to visit a Precast Plant. What a new experience it was as we had a glimpse in an actual plant that who knows? maybe in a few years we will be working for the same large and successful pioneering construction company like Megawide. The field trip began with a short orientation led by Mr. Christopher Ganotice and Mr. Emelito Durano Jr. The group of 55 student participants in the field trip were split into two groups with the two facilitators at that point and for the rest of the field trip as to have a smoother program flow. The orientation focused on a little bit of history on the establishment of the Precast Plant and on the various sections we are to visit in the plant. Once we set out to the main part of the tour, we were told that photos were restricted especially for the machines. Our facilitator Mr Ganotice who is the Senior Planner for the site, was able to explain quite eloquently the use of each sections of the plant and how each of the sections of the plant were crucial to the manufacturing of precast concrete. We were able to visit the Warehouse, Stockyard and the two factories of the plant. It was really interesting to see their methodology and observe first hand as it really gave light to how some of the things we study like concrete is applied in real life. Overall, it was a very new and exciting experience for all of us and personally, it the trip gave me goosebumps of excitement to get right on down to the field once I pass my boards. I personally would like to thank the CE department together with all the faculties involved, and CES together with all the student leaders that also helped and all the people that made this field trip possible, I hope this field trip can also be experienced by the next batches as it really made me feel one step closer to my dream. 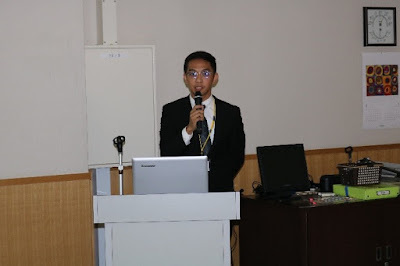 The Consortium for SOcio-Functional Continuity Technology (SOFTech) held its first workshop for young researchers last February 22 and 23, 2019 at Suzukakedai campus of Tokyo Institute of Technology (Tokyo Tech), Yokohama, Japan. 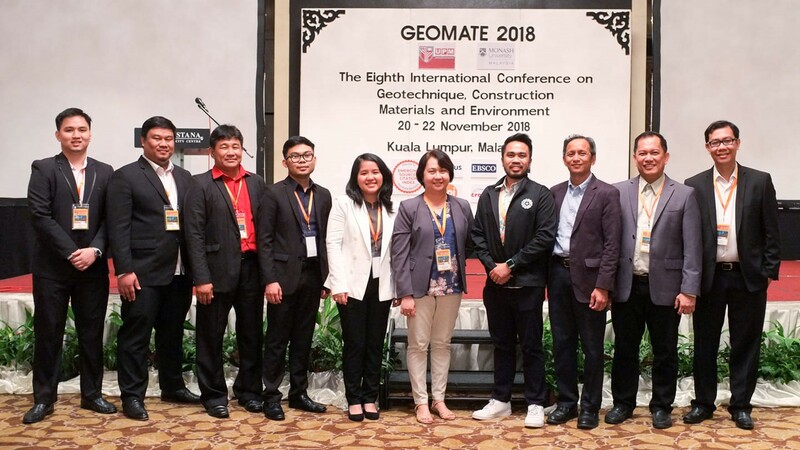 The consortium was launched in 2017 and aims to develop technology to ensure continuity of essential functions performed in high-rise buildings and other urban structures following a major disaster. Around 21 researchers from different universities in Japan, China, and Philippines attended the workshop. 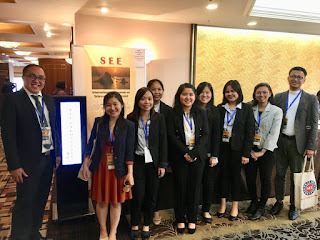 The workshop aims to bring together young researchers around Asia to present, share, and discuss their researches related to urban disaster prevention which are categorized into 5 areas: (1) ensuring structural safety, (2) safety verification of seismic device, (3) maintaining functionality, (4) quantification of safety and functionality, and (5) ensuring peace of mind. 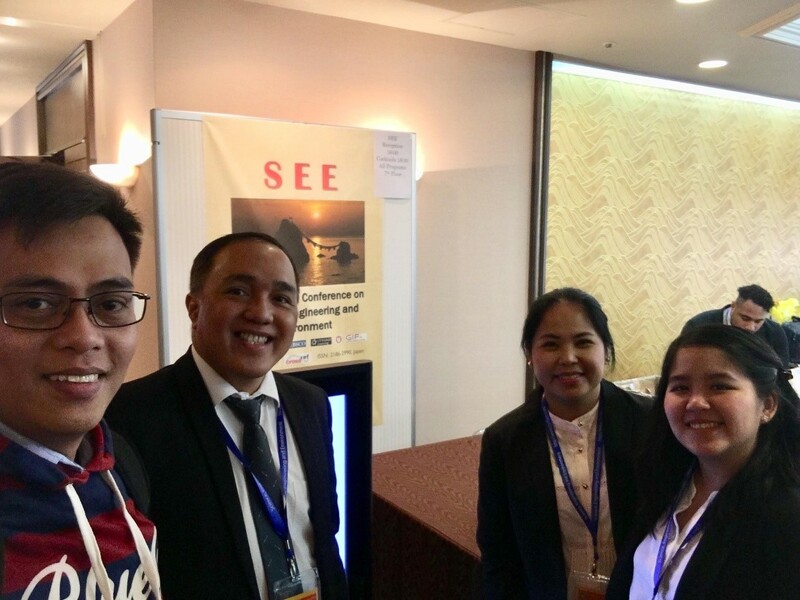 Day 1 was an exchange through presentation of research studies about application of concept of resiliency and various innovations in earthquake engineering technology, analysis, and testing. Day 2 was allotted to a site visit of a model 20-story building designed to resist strong earthquakes through the combined use of base isolation and dampers. 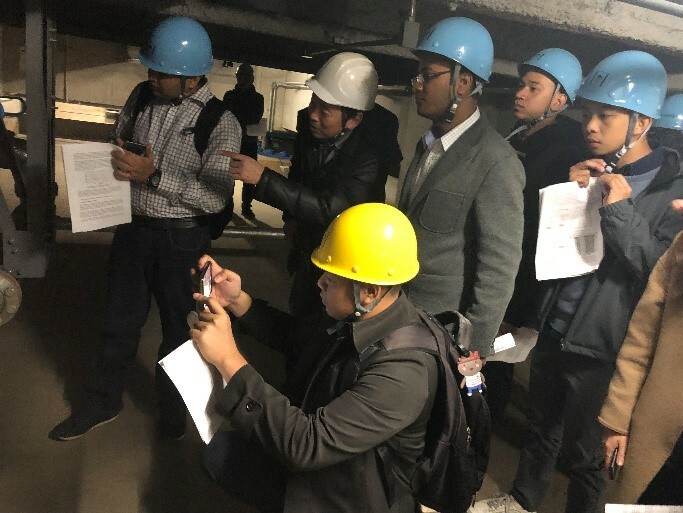 Participants were allowed to witness a seismic-resistant technology comprised of combination of base isolation and dampers applied to an actual building. They entered the basement of J2-building in Tokyo Tech campus in Suzukakedai to witness the technology. De La Salle University Civil Engineering, represented by Engr. Richard De Jesus and Engr. Paolo Ian Lucero, participated in the workshop. Engr. De Jesus presented his paper about quantification of resiliency of local water distribution networks whereas Engr. Lucero presented his paper about transport engineering resiliency with NAIA as case study. 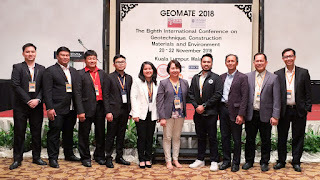 GEOMATE International Society in coordination with Monash University, Malaysia, Mie University Research Center for Environmental Load Reduction, Useful Plant Spread Society, Glorious International, AOI Engineering, HOJUN, JCK, CosmoWinds and Beppu Construction, Japan organized the Eighth International Conference on Geotechnique, Construction Materials and Environment, from 20 to 22 November 2018 at Hotel Istana, Kuala Lumpur, Malaysia. The conference aims to provide an opportunity to share researches on geo-engineering, construction materials, environmental issues, water resources, and earthquake and tsunami disasters. Civil Engineering Department Faculty members Dr. Mary Ann Q. Adajar, Dr. Lessandro Estelito Garciano Dr. Bernardo A. Lejano and Dr. Erica Elice S. Uy, Academic Service Faculty Engr. Joenel G. Galupino, Graduate students Engr. Alvin Quizon and Engr. Stephen John C. Clemente and DLSU Alumni Dr. Gilford B. Estores, Engr. Rainier Lawrence A. Valdez and John Carlo R. Samarita went to the conference to present their respective researches. All papers submitted were published at the International Journal of Geomate (ISI/Scopus-Indexed). 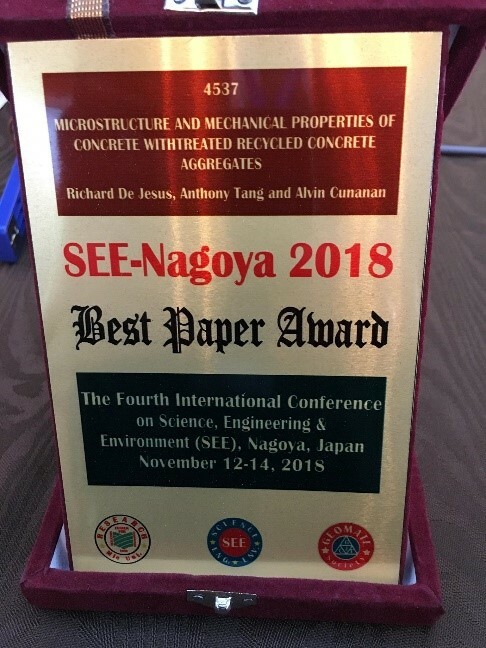 The Fourth International Conference on Science, Engineering & Environment (SEE) was organized by the Mie University Research Center for Environmental Load Reduction, The GEOMATE International Society, Useful Plant Spread Society, Glorious International, AOI Engineering, HOJUN, JCK, CosmoWinds and Beppu Construction, Japan. It aims to provide with great opportunities to share common interests and ideal academic platform for researchers, scientists, engineers and practitioners to present their latest research results, ideas, developments and applications in all areas of Engineering, Natural Sciences and Environment. 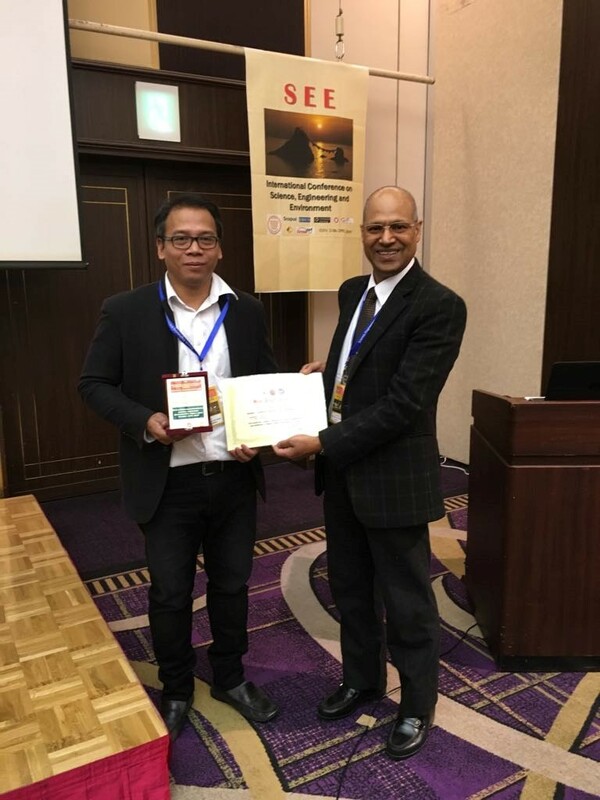 It was held last Nov.12-14, 2018 at the Meitetsu New Grand Hotel, Nagoya, Japan. Civil Engineering Department Faculty members Dr. Jonathan R. Dungca, Engr. Cheryl Lyne C. Roxas, Engr. Richard M. De Jesus and Dr. Erica Elice S. Uy, Phd Candidate Engr. Nolan C. Concha, Graduate student Engr. Jenes P. Borais, Undergraduate students Carmela Denise C. Isberto, Krystoffer Lloyd D. Labra and Jan Marielle B. Landicho went to the conference to present their respective researches. The paper of Engr. Richard M. De Jesus together with his undergraduate , Anthony Tang and Alvin Cunanan, entitled “Microstructure and Mechanical Properties of Concrete with Treated Recycled Concrete Aggregates” was chosen to receive the best paper award. Jonathan R. Dungca, Kimberly D. Ang, Aila Mae L. Isaac, John Joshua R. Joven and Ma.